The Gator anchored the Boston lineup. 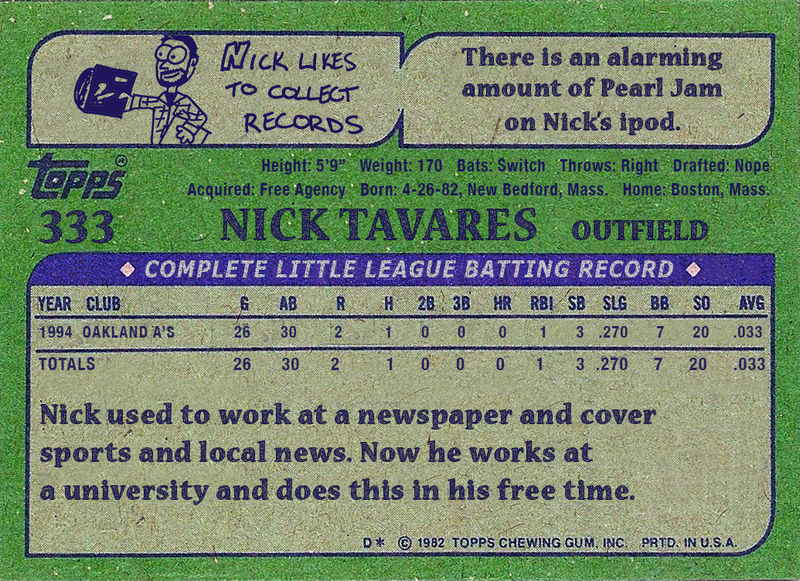 By the time I was through with third grade, I’d become all too familiar with the reality of retiring athletes. That summer, Larry Bird had hung up his sneakers and Jim Rice had long since hit his last home run. 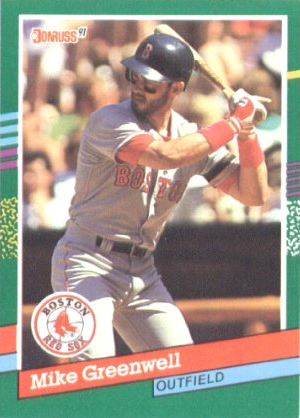 While not quite on the same level, Dwight Evans was no longer patrolling Fenway Park’s right field in 1991, nor was he penciled in at designated hitter. He actually was playing, a fact revealed by the next year’s baseball cards depicting him in a Baltimore Orioles uniform, but my level of fandom was still at a point where I didn’t realize he was still playing. I knew the history; he’d come up with Boston in 1972, had played forever, hit home runs, threw runners out with ease with his cannon of a right arm, and now that he wasn’t there, he must’ve been gone. The Captain tops the leaderboard. Well here’s an exercise for the sake of an exercise. 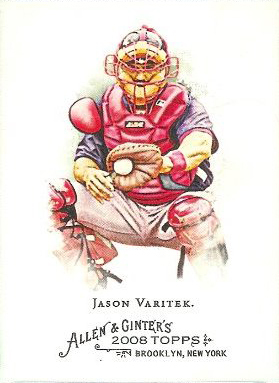 My 10 or 15 favorite members of the Red Sox has always been pretty solid, but what would my 100 favorite Red Sox look like? I wondered, and if you’re curious, here they are. Building this was interesting, but more interesting to me was how many guys didn’t make the cut. I won’t say who they are here, but see if there are glaring omissions from the list. I either a) forgot them, or b) left them out on purpose. At this point, option B is more likely, but A is still possible. I’d take my chances with those guys. Wouldn’t you? 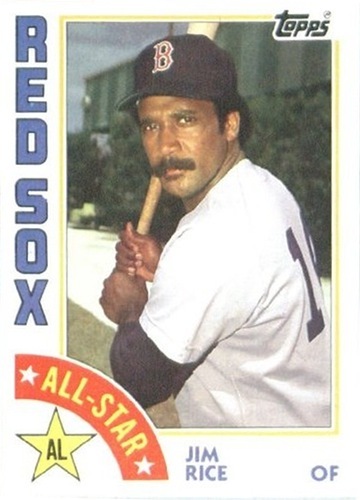 I wonder how Jim Rice spent his post-All-Star Wednesdays in the '80s. He probably napped. Across Major League Baseball, stadiums are empty. Save for the AAA All-Star game being played today, there are no diving stops, no gems, no ungodly breaking pitches, no screaming liners. Last night, the National League won the All-Star Game 3-1 in Anaheim, thanks in no small part to Brian McCann’s bases-clearing double and Joe Girardi’s crap managing (if you don’t think I’ll be blaming that useless sack of discipline-demanding crap for this, then you don’t know me very well. Ortiz left in to run, A-Rod stays on the bench, utility guy Ty Wigginton already used up … bah. Dumb.). Alas, I’m sure the Braves/Reds/Cardinals/Rockies/Pirates will enjoy hosting Game 7 of the World Series should the World Series ever gets to a seventh game again, of course. But, that’s all over now, and today is a new day. Sadly, though, there’s not a whole lot going on in the sports world. ESPN is showing the ESPYs. I will not be adding more ESPN into my life than is absolutely necessary. The following shows I’ve never watched are on: Minute to Win It, Big Brother, So You Think You Can Dance, America’s Next Top Model and The Unit. In old movies, AMC is showing Tin Cup and then Executive Decision (the one where Steven Seagal dies really early), CMT presents Cannonball Run II and E! has The Cable Guy. Riveting. So TV’s out. In that case, you could check out that new album (I recommend the Black Keys, Spoon or Quasi), reconnect with an old friend, or you could be really daring and read a book. Me? Thanks to the job, I get to take in the New Bedford Bay Sox of the New England League take on Team Canada at Paul Walsh Field, weather permitting, taping it for posterity. If you’re in Southeastern Mass., you should feel free to join me, since I’ve found actual baseball on a day with very little baseball. Otherwise, I hope you find something fun tonight, too.